Over the years, we learned that in order for students to truly learn and understand mathematical concepts, they must be in classrooms that support cooperative learning and mathematical discourse. They must learn to persevere and focus on the process of math, not the product. And most importantly, they need to construct their own knowledge of mathematics from the ground up in an atmosphere where they feel safe to learn, take risks, make mistakes, and grow. In Ms. Kaplan's first-grade classroom, she has just introduced the day's math problem: "Gabriella was helping her mom plant her garden over the weekend. They planted 35 pea seeds. They also planted 54 pumpkin seeds. How many seeds did they plant altogether?" The students have discussed the problem to ensure they understand what they are being asked to do and are released to begin problem-solving. As soon as the children receive their papers, which are blank except for the day's problem written at the very top, they head back to their seats, pulling out their pencils. Some stop at the math center on their way to their tables, pulling out base ten blocks, connecting cubes, or ten frame mats. When the students are settled with their supplies, a quiet buzz falls over the room as they get to work. Leo is drawing tally marks. Ashlyn is pulling out ten blocks, quietly asking herself, "How many tens are there?" Some students are drawing ten frames and filling them with circles on their papers. Others are drawing tens and ones mats, making sticks and dots for tens and ones. Some are writing equations and sentences that explain their thinking. A few haven't touched their papers yet and are busy counting connecting cubes or base ten blocks. The students are engaged in solving a problem they haven't been taught how to solve, using tools and strategies that make sense to them. Students in Ms. Kaplan's class feel safe making their own choices. They try out strategies even when they aren't sure if they'll work, and when they don't work, they try to solve the problem again or give it a go with a different strategy. Beyond that, they trust that their teacher won't be upset if they get the answer wrong or don't finish right away. They trust that their classmates won't make fun of them when they make mistakes but will celebrate them for those mistakes that create new learning. Creating an atmosphere of respect between and among the students as well as the teacher in a classroom is the first major building block in creating a classroom community where students can deeply learn math. The goal of mathematics instruction in our classrooms is to teach for understanding. In order for students to deeply understand math, they must construct their own knowledge, connecting new ideas with their prior knowledge. 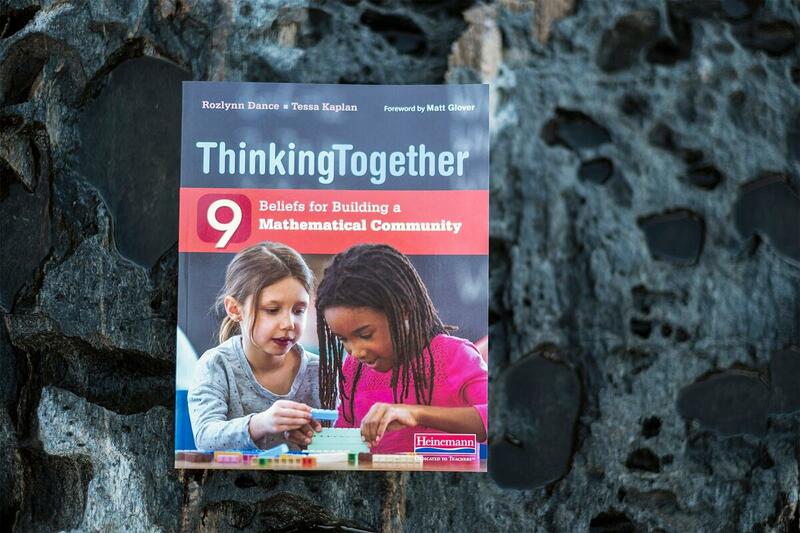 Truly developing mathematical concepts means intricately weaving what students know with what they are learning, then looping back repeatedly to deepen and strengthen those connections. According to John A. Van de Walle et al. 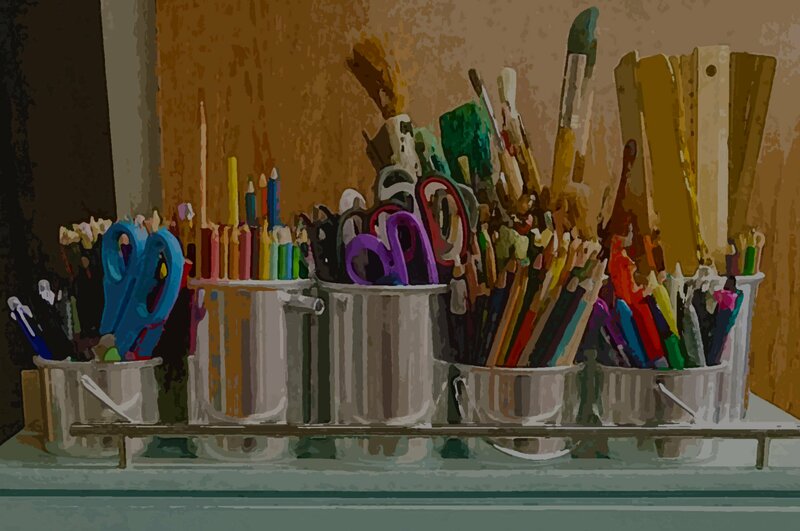 (2014, 4), "At the heart of constructivism is the notion that learners are not blank slates but rather creators (constructors) of their own learning. All people, all the time, construct or give meaning to things they think about or perceive." When we tell students what to think or how to do math, we take from them the chance to construct their own understanding. Listen in as Ms. Kaplan talks with Katie, who is struggling to start the problem about Gabriella and her garden. Katie is using base ten blocks to model the first number in the problem, 35. Ms. Kaplan: How many do you have here? Katie: 10, 20, 30, 40... oh wait. [slowing down, pointing to each ten stick] 10, 20, 30. [picking up one ten stick] But the 20 is in here. Ms. Kaplan: The 20 is in here? ... 10, 20, 30? What number are we trying to make here? Katie: [looks at the problem on her paper and points] 35. Ms. Kaplan: 35, okay. If we have 30 here, what do we need now? Ms. Kaplan: Let's try that and see if it works. Katie pulls out a single one block. She and Ms. Kaplan count together and find that she now has 31. Through some more trial and error, Katie eventually concludes that she needs 5 more. In this vignette, Katie is still learning about basic place value concepts. In order to help Katie develop a model of the number 35, Ms. Kaplan acknowledges where she is in her understanding and guides her through questioning toward a deeper understanding. She encourages her to try out ideas and test them to see if they work. Katie is not following the steps in a procedure but persevering through this task as she tries to figure out how to accurately model her thinking. We can help our students construct their own understanding by teaching them not to rely on the teacher for the answer. We want our students to look within themselves for connections that might help them construct understanding or to talk with their classmates to formulate ideas. We want them to confirm and justify their own thinking. As teachers, we act as facilitators and learning coaches. The teacher is no the source of knowledge but merely a guide on the path toward knowledge construction.